The Luxe Event Rental Chiavari Chair in the metallic silver or gold finish is a luxurious feature that guests are sure to notice. Guests appreciate the elegant appearance and lightness of the chair. Planning an event in the Atlanta, GA area? We offer tent rentals, table rentals, chair rentals, linen rentals, concessions rentals all at reasonable rates. Call or place an order online today. Call us (678)907.LUXE to find out more or reserve Chiavari Chairs now using our online rental shop. Chiavari chairs include their comfort cushion with ivory, gold, white chair cushion colors to choose from. 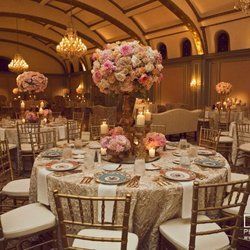 Chiavari Chair rentals are among the “must have” for today’s events. Not to mention, our affordable cost of $6 per chair, that can impress even the most selective customers. Chairs set up is not included in the price below. Delivery starts at just $30! Our full-service inventory of party rentals tents, tables, chairs, linens, tablecloths, charger plates, china, glassware, and flatware, lounge furniture rentals. Our team is committed to providing high quality rentals for creating unforgettable events from backyard weddings to extravagant corporate galas. With a wide variety of party rentals, unbeatable prices and service, you can find all your party rental equipment needs with us.